High security and master key mechanical key systems like Locxis by RB Locks are secure by patent, preventing the duplication of keys without the owners knowledge or authorisation. 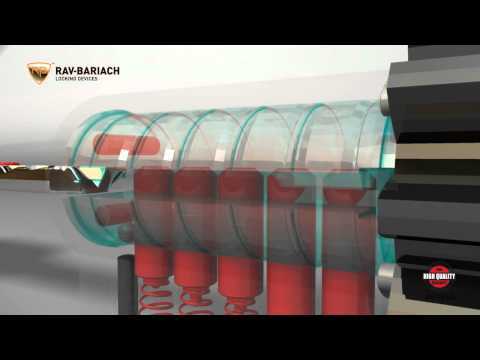 The lock cylinders are anti- pick / anti-drill / anti-bump and secure from 3D printing to provide the highest security for home and business owners and facility managers. Battery operated electronic locks will become more prevalent due to the low cost of installation as in pin coded or digital locks. User codes and master codes can be programmed to open a door. Codes can be deleted if an employee leaves the company. Some electronic digital locks can be programmed to allow employees access only at certain times or days with a full audit trail to tell managers who and when they entered through a door. Card and fob operated RFID for wire free or wireless electronic handles and cylinders are easy to fit to timber and uPVC doors for domestic and office applications giving full access control facilities. Stand alone electronic handles and cylinders are operated by cards / fobs which can be deleted at the door if lost or stolen or by a programmer with time zone and audit trail giving full access control facilities without the need to run hard wire electrical cabling. There are low cost electronic key systems available from a few manufactures and distributors. 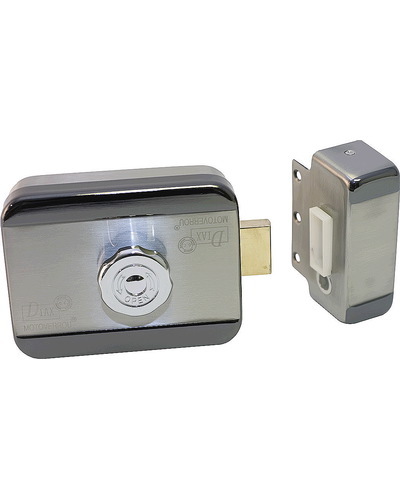 These can be referred to as Mechatronic systems as it is a combination of mechanical and electronic locking together providing a secure and convenient locking solution. Electronic key systems are very easy to manage as a master key system and very cost effective key control in the event of keys being lost or stolen. An electronic key can operate many different types of locks including cylinders, padlocks and cam locks. These can be programmed to offer full access control facilities in a building or even a field. Some examples being for padlocks on trucks and metal containers, drug cabinets and lockers in hospitals with the cam locks and offices or schools with the cylinders or a combination of all. All the locks can be programmed to work on one key like a regular mechanical master key system but can altered or deleted with the click of a button on the computer or by using a programming key at the door. There are many other individual types of electronic locking products that offer bespoke solutions. The KnocknLock code key offers an anti-vandal solution for metal and wooden doors as the lock is not accessible. The lock is surface fitted on the inside of the door and the key sends an electronic code through the door to open it if programmed to do so. They are ideal for containers and other doors which are prone to break in and vandalism. Technology is advancing so fast that there are many locks on the market operated by Bluetooth and NFC from your mobile and smart phones. Authorisation to open a lock can be sent by internet or text to a remote location like a holiday flat or telecom mast to grant access. A coded signal is then resent from the phone to the lock to open the door. The next technological advance will be with Touch Access technology where the user will be able to push a locked door open without using a key or presenting a card or fob to a reader. An authorised user will have a fob in their pocket or bag which will send a signal over their skin and deactivate the lock when they touch the door or locking handle. Many security companies fit mag locks for cost and ease of installation. Most mag lock installations are insecure as they are normally fail safe without battery back up. in the event that the emergency break glass unit is pressed the mag lock will open and the door will remain unlocked until the BGU is reset. Alternatively if the reader or key pad operating the mag lock fails, there is no emergency key over ride option available to open the door from the outside. A good option is to fit an electric lock with a mechanical key over ride on the outside and a mechanical handle on the inside. Electric locks are normally fitted to the middle of the door whereas a mag is normally fitted to the top of the door which can cause warping of the door. There are electric locks available which are powered via the frame and avoid the door being core drilled to run the wires. Expert Security Ltd in Dublin are recognised as a leading door locking solution company in Ireland using these innovative locking products for practical solutions in securing homes and businesses with many demonstration models on view in their lock shop in Amiens Street.